I found Louise by chance on Instagram and immediately fell for her work. Creative quirky jewellery is one of my guilty pleasures and her work is so different. This week I have asked her to answer some questions about custom-made wedding rings. You can follow Louise’s beautiful work on her Instagram or Facebook. Hi Louise, could you introduce yourself and your business? What is the story behind it and how was your passion born? Hi, I’m Louise Vaessen-Walker – I run VAESSEN | WALKER Designer Jewellery + Tableware. 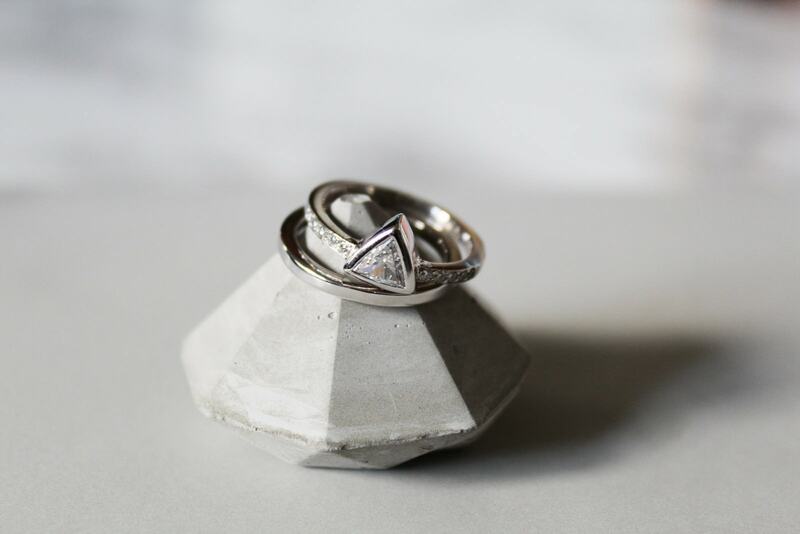 I design and make contemporary jewellery and tableware designs, with a focus on bespoke wedding and engagement rings from my studio in Reading. I’ve been designing and making jewellery since 2006 after falling in love with working with metal after a crazy year at art school. I went on to study BA (Hons) degree and Post Grad in Jewellery & Silversmithing. I then went on to work in the bespoke jewellery industry for around six years, where I learnt to hone my skills, and my passion for great design grew. And finally launched my brand VAESSEN | WALKER a couple of years ago – with a focus on bespoke, handmade, ethical design. What do you specialise in? How do your rings differ from the high street ones? After working in the industry for nearly a decade, I was becoming increasingly aware of the environmental and ethical issues surrounding the sourcing and production of jewellery, and the lack of choice for ethical jewellery. I decided to take a step back and reevaluate why I was designing and making jewellery. This is when I took the plunge to go it alone, and set up my new brand, with a focus on Fairtrade, recycled and ethically sourced materials. 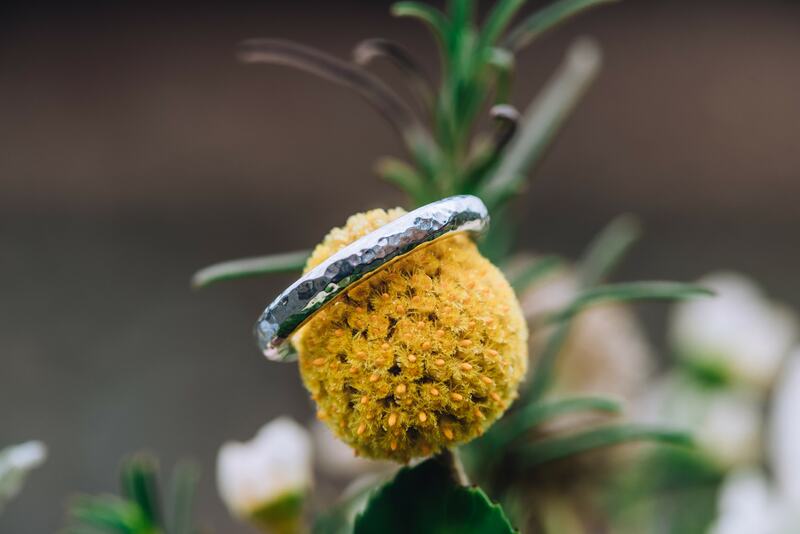 Therefore, I’d say I specialise in bespoke wedding and engagement rings, where I can offer my customers to have their designs made from responsibly sourced materials – from mine to market. Why would you recommend purchasing a custom-made engagement or wedding ring? Your engagement and wedding rings are designed to last you a lifetime of marriage. When the cake is all eaten, the bubbles are drunk and the party’s over, your rings will be with you every day. Bespoke doesn’t necessarily mean more expensive. It means quality and craftsmanship. It enables you to have something truly unique, beautifully made, to your specification. The bespoke process means you are involved throughout, from the initial design stages to selecting materials and stones, to the final outcome. 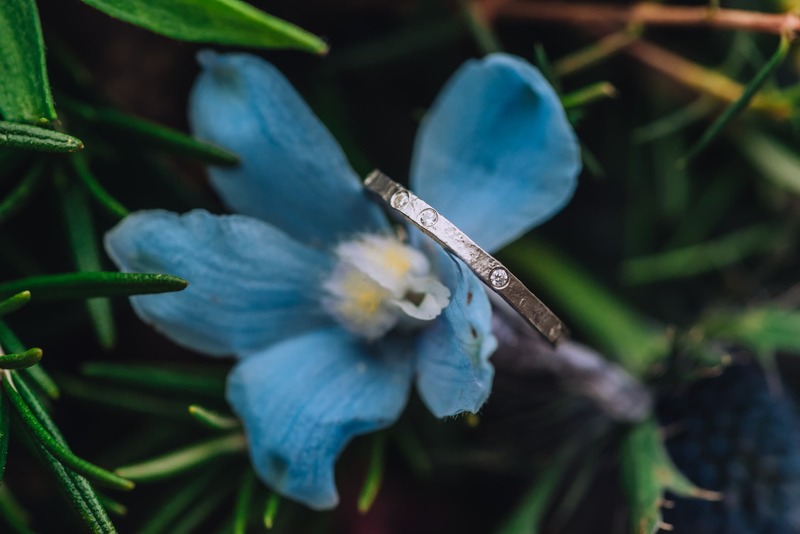 It can be very special and rewarding to have something one-off made for you, that symbolises a very important part of your life. 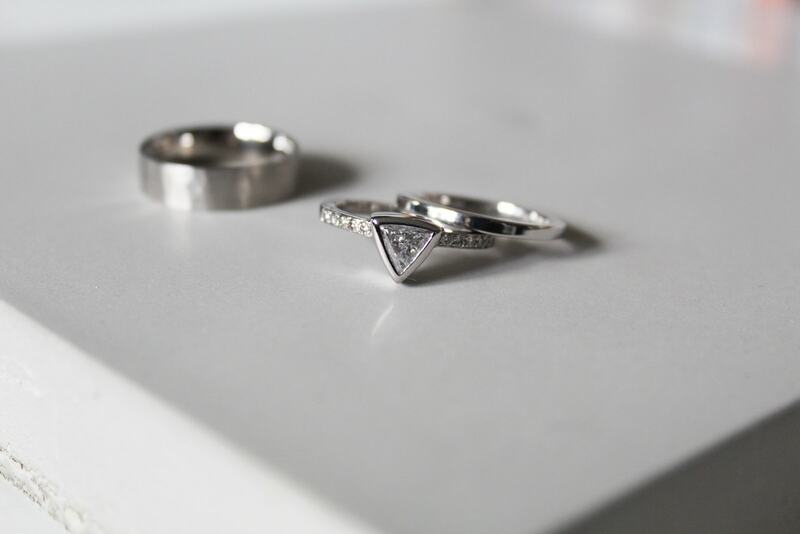 Tell us the process: how do you create the perfect wedding rings for your clients? Every commission is different and therefore so is the process. Most bespoke designs start with a discussion about what the customer is wanting to achieve. From this, designs may be sketched up. I may show the customer examples or samples to begin to build a good idea of the aesthetic and design style. Sometimes there’s a problem that has to be solved and this can form the brief of the design. Then we hone down on the design, discussing elements they like or don’t like from the initial sketches or samples. Once the final design is confirmed, depending on the complexity of the project – I’m sometimes able to start working in metal earlier on; in other cases, I may produce wax models or CAD images of the design. But no matter how simple or complicated, the customer sees the piece evolve throughout the processes enabling tweaks and amendments along the way to ensure the final result is perfect. The earlier the better. Most bespoke projects take between 6-8 weeks to physically make, so you should allow longer for the design and discussion process. 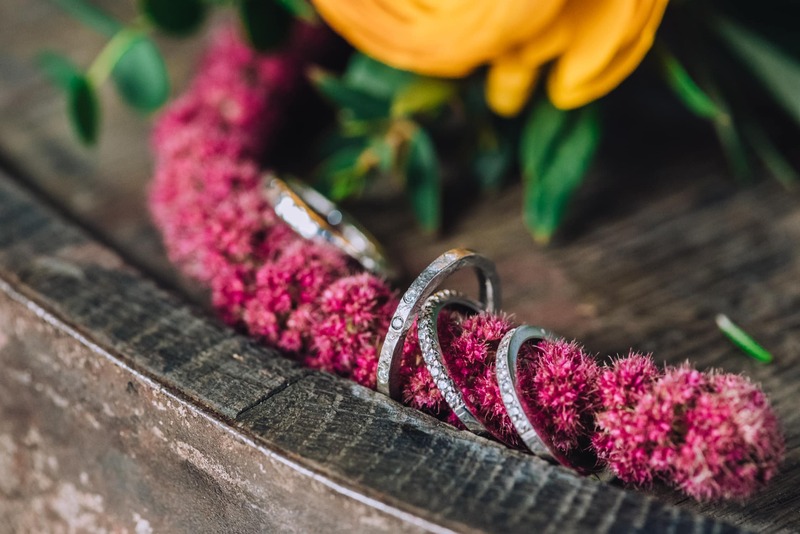 What would you say it’s a realistic price range for wedding rings? Depending on the design and materials, prices start from several hundred and can go up into the thousands. Budget is something I would always try to discuss early on with a customer – the budget can help inform and influence the design, and the materials and processes used to create it. I know you also make engagement rings, could you tell us something about it? I’ve had the pleasure of helping design and make some really special and unique engagement rings in the past few years. 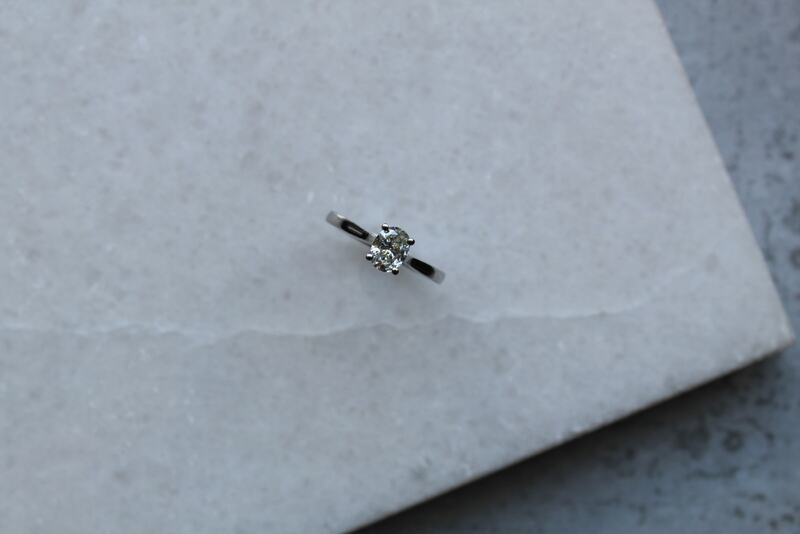 The process is pretty much the same for any bespoke order, but engagement rings can take longer due to sourcing the right stone and producing the perfect proposal ring. 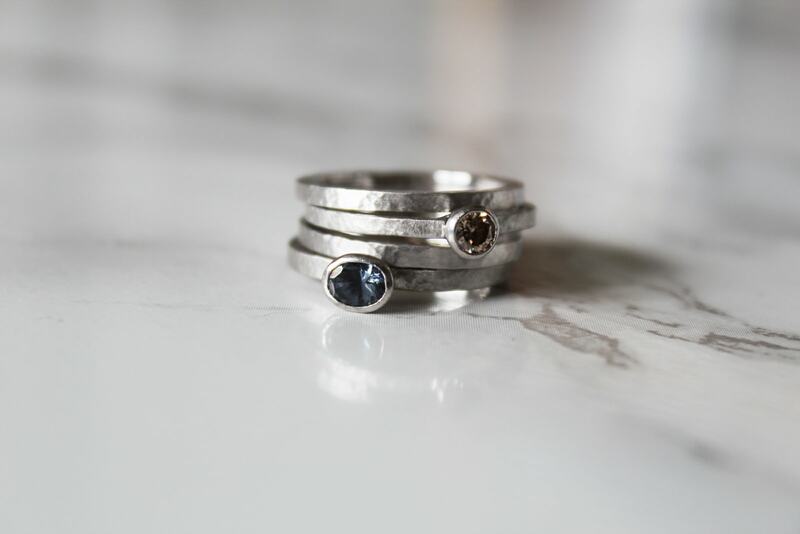 I’m also really pleased to be able to offer Fairtrade gold and ethically sourced diamonds and coloured stones for all bespoke orders.